Below you will find the race information for each of the various Rhino Runs taking place around South Africa in 2017. Click on the race you want to enter to see the details and registration link. PE Rhino Run online entries are now closed. ON THE DAY ENTRIES ACCEPTED. Durban, George, Kenton and Gauteng entries close at midnight on the 21 September. ON THE DAY ENTRIES ACCEPTED AT ALL 4. Cape Town entries close at mid-day on Fri 22nd – NO ON THE DAY ENTRIES IN CAPE TOWN. All online entries will qualify for the lucky draw to win 2 nights all inclusive at either Settlers Drift, River Lodge or Ukhozi Lodge in the Kariega Game Reserve. PLEASE NOTE: The first 100 entries for each venue will receive limited edition Rhino Run headgear. All race finishers will receive a Rhino Run Medal. Want to see your town or city on this list? Send us an email at info@therhinorun.com and we’ll tell you how. We want to have Rhino Runs happening all over the world. Please help us grow by sharing and spreading the word. The Cape Town Rhino Run will be held at the Groot Constantia Wine Estate, in Tokai. Groot Constantia have supported this event since its inception in September 2012, and we’d like to say a HUGE thank you to them for allowing us to host the Cape Town Rhino Run there again this year. We are sure you will have a beautiful and enjoyable a run there. All entries include a R50 voucher from Groot Constantia. The first 100 entries will receive limited edition Rhino Run headgear. All race finishers will receive a Rhino Run Medal. Parking: Please park at the High Constantia Shopping Centre – where Greens Restaurant is. Please park considerately and listen to the parking marshals. Toilets: you will find these at the start line. Finish: Groot Constantia Cellar, please note that there is no formal prize giving, there will be lucky prizes as people cross the finish line. We do have trophies for the winners. There will be NO LATE ENTRIES ON THE DAY! The course is clearly marked so please follow the arrows and the marshal instructions. There are NO water points along the route please ensure you carry enough water for yourself. This is a fun race and you are out there to run for the Rhino so enjoy it. The George Rhino Run will be held at Arendrus Country Lodge. We’d like to say a HUGE thank you to Arendrus Country Lodge for allowing us to host the George Rhino Run there this year, and we are sure you will have a beautiful and enjoyable run. Pre-race registration (number and race T collection) will be held at Sportsmans Warehouse in George on Fri the 22 Sep from 16:30 to 18:00, and again on Sat 23 from 14:00 to 16:00. If you can’t make the pre-registration session, don’t stress as you will be able to collect your shirt and number on the day if you entered online. There will be NO water points along the route, so we strongly recommend carrying your own water. 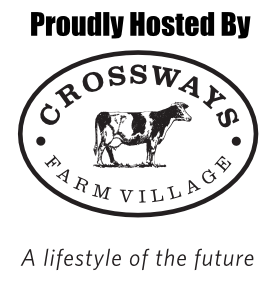 The Port Elizabeth Rhino Run will be held at Crossways Farm Village, Van Stadens. We’d like to say a HUGE thank you to Crossways for allowing us to host the Rhino Run there again this year, and we are sure you will have a beautiful and enjoyable a run there. Pre-race registration (number and race T collection), as well as late entries will be done at Little Walmer Golf Club between 5pm & 7pm on Thursday 21. The Gauteng Rhino Run will be held at Hennops Hiking Trails. We’d like to say a HUGE thank you to Hennops Hiking Trails for allowing us to host the Gauteng Rhino Run there this year, and we are sure you will have a beautiful and enjoyable run. There will be NO pre-race registration – you will be able to collect your shirt and number on the day if you entered online. There will be water points along the route. However, we do recommend carrying your own water. The Kenton Rhino Run will be held at Homewoods Restaurant, at the Kenton Blue Flag beach. The run will be a mix of beach and running through the Kenton Eco-Estate. We’d like to say a HUGE thank you to Homewoods & the Kenton Eco Estate for allowing us to host the Kenton Rhino Run there again this year, and we are sure you will have a beautiful and enjoyable run. Pre-race registration (number and race T collection), as well as late entries will be done at Homewoods at the Kenton Blue Flag beach between 4 & 6pm on Saturday. You will be able to collect your number and shirt on the day if you ordered one online. There will be a water point along the 10km route, but we strongly recommend carrying your own water.